There is nothing more that Texans love than stepping out of their hometown for a vacation that is filled with the highest levels of luxury and comfort, and that is exactly what a vacation to Park City, Utah offers. Park City, Utah is a mountain community that features three world class resorts that is an oasis of beauty and a hub of outdoor activities. Park City offers the Texan a truly memorable vacation, whether it during the summer months or winter, and for the ski enthusiast, there is not a greater place on earth to vacation than Park City. Whether from Austin to El Paso, Houston to San Antonio, Paris to Dallas, Pampa to Midland and all parts in between, Texans love vacationing in Park City, Utah. Park City is the premier destination for ski vacations, some resorts such as Deer Valley prohibit snowboarding. Winter months in the area are filled with fine dining, warm fires, exceptional skiing, snowmobiling, shopping and hiking. The area also offers exquisite nightlife with many restaurants, clubs, and entertainment venues that give the Texan plenty of options for evening activities. Park City is home to over 100 restaurants that provide every type setting and atmosphere. The pubs and clubs and wine bars line historic Main Street and provide the after-hours nightlife that many Texans enjoy. Live theatre is another of the highlights of Park City and those visiting the area will enjoy the historic Egyptian Theatre on Main Street. During the summer months, Texans will enjoy exceptional outdoor activities that include swimming, biking, hiking, shopping, cuisine, nightlife, big name band concerts, arts festivals, and the Alpine Slide Park. In fact, the Alpine Slide at Park City Mountain Resort features a 3,000 foot of track slide, which qualifies it as one of the world's longest slides, and one that the park has become quite famous for. The ZipRider is another highlight of Alpine Slide and is a ride that takes you over the tops of trees 100 feet in the air at speeds up to 45 miles per hour. 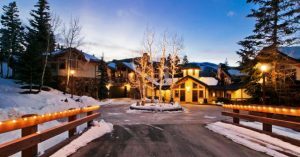 Park City, Utah, is something for everyone, and Texans will find pure luxury and enjoyment whether it staying at one of their world class resorts, the Deer Valley Resort, the Park City Mountain Resort, or The Canyons Resort, or a private rental within the mountain community. 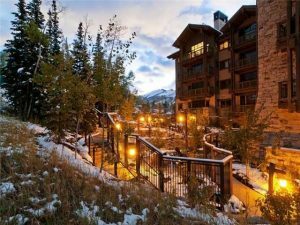 A vacation to Park City, Utah sets that standard in what a vacation should be and will offer the Texan the fine luxuries that we so much enjoy. 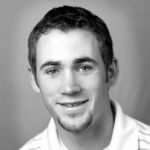 Call Ben Fisher for Park City Real Estate or Deer Valley Real Estate at 435-962-0192.